Before we delve into high fade haircuts its important we lay a little groundwork on the word “Fades”. 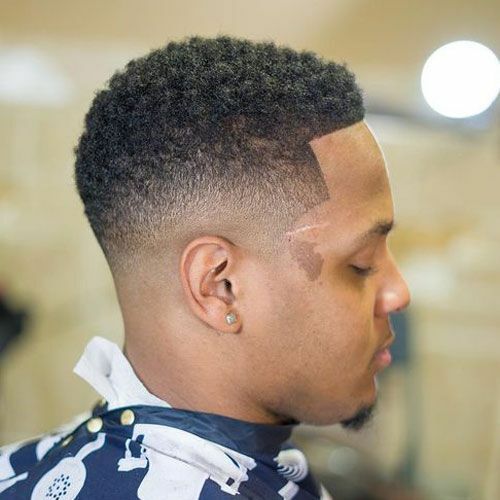 The word Fade is used to describe a style of haircut which is achieved by reducing the hair on the sides and back of the head while maintaining those on top. This haircut has become very popular among men of diverse professions and culture. One reason for the rapid increase in its fan base is because the Fade haircut offers a long iteration of styling options. There are fades and styling for every occasion and profession. Pompadour, faux hawk, high and tight, Afro, quiff and the french crop are just a few styling options used with the fade. They are different types of fades; Low, Medium and High fade. Each of these can be distinguished by observing where the hairline begins. The high fade haircut has a sharp hairline that runs all the way around the back of the head. Low fades have the lowest hairline which gently tapers to the nape of the neck. The Mid fade as the name suggest comes in-between the High and Low fades and also features a taper.. This article focuses mainly on the High Fade haircut with a combination of different styling options. Most of these styles are quite easy to achieve while some will require a lot of machinate and expensive products. High Fades are generally more uptight than low and medium fades. The hairline for High fades usually begin somewhere around the temples or above the ear and runs all the way around the back of the head. The high fade haircut could end with a bald, skin, taper. If you wish to change your looks or you just want to try on something new? then look no further. Below is a list of some of the best high fade haircuts and styling options that will completely transform your appearance. A sharp hairline is essential when you want a neat and stylish haircut. The hairline helps to sharpen your look and emphasizes any chosen style. Sharp hairlines with high fades is unique combination that is trending among men. Add a line up and you have a classic haircut that is suitable for most occasions. The high skin fade haircut is a low maintenance look that places much attention on the hair at the top, this combination is neat and simple. The fading line is very obvious because the hair below the high fade hairline is completely removed to the scalp. Depending on the length of hair, this option can go well with a slick back, pompadour or just the classic military cut. The result is quite similar with the bald fade option except that the hair on the back and sides are not completely removed but lowered enough to produce a similar look. Although considered too edgy for some professions and occasions, the High skin fade has an enduring fan base. Another great way to rock the high fade is with a beard. Whether you opt for a bald,skin or tapper high fade, you can complement your style with a beard. This haircut shares a semblance with the high skin fade. The major difference between the bald and skin high fades is that the below the hairline, the hair is not completely removed but buzzed really low. This is especially useful for those with receding hairline. This haircut is a shift away from the usual bald or skin fades. Instead of a sharp round hairline, the high fade is gradually reduced from the top as it reaches below the ears to form a taper as shown in the picture below. The high taper fade reduces the edginess associated with the high skin and bald fade. It is a classic haircut that is suitable for both professionals and non-professionals. The gentle slope of the hair begins somewhere around the temples where the high fade hairline ends. It should be noted that the hairline in the high taper fade is not as obvious as those for the skin and bald fade. This is because instead of a sharp hairline, the high taper fade has a hair gradient which reduces towards the nape of the neck and may end in a skin or bald fade. The slick back hairstyle has been reputable among men who are sophisticated. 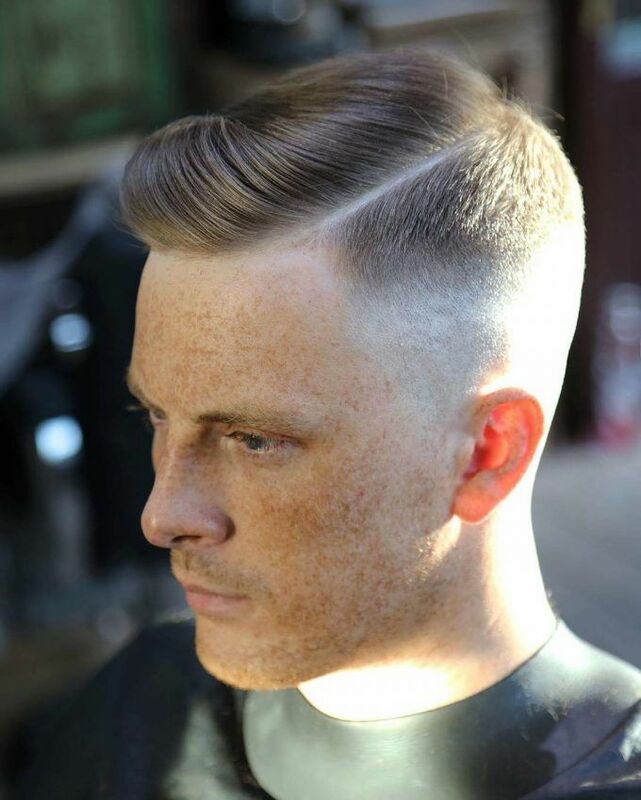 Combining this hairstyle with the high fade produces a look that is sure to stand out anywhere. A modern power look, the high fade plus slick back gives an extra layer of sophistication that sure wouldn’t go unnoticed. One major downside of this haircut is that it requires a high level of care and maintenance. You can decide to opt for a skin or taper fade for an additional layer of style. Combining the high fade with a part (or slash) is the right choice if you seek a simple but professional look. This hairstyle although quite underrated is popular and the parting gives an extra layer of style to the haircut. Both sides of the part can be neatly combed to take a desired shape. A part can be introduced in many hair styles such as the pomp, Caesar haircut, quiff or the comb over. On its own, the part is not much but combined with these hairstyles, it is sure to highlight whichever hair style you chose to go along with your high fade. This is another hairstyle that’s easy to maintain. The comb over is achieved by parting the hair on one side while you comb towards the opposite side. 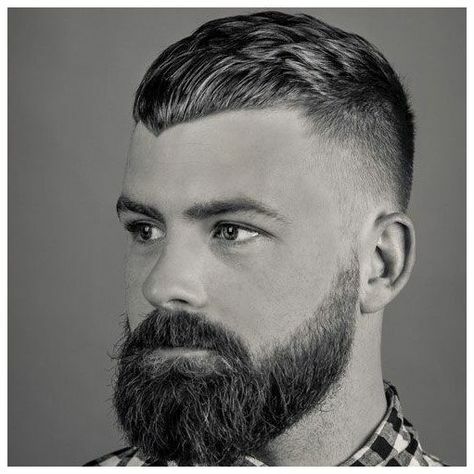 Although this looks quite simple, the combination of the high fade with a comb over is a classic way to add a touch of sophistication to your style. The haircut can also be easily maintained making it the go to style for professionals with less free time. This haircut is characterized by a well trimmed side and back hair with the usual long hair that’s typical of the high fade. The undercut is most suited for people who do not want to completely remove the hairs on the back and sides of the head. The high fade with an undercut can be combined with several other styling options like the quiff, pompadour, slick back or faux hawk for a more personalized look. The undercut is considered by some to be a bit edgy but the style is undeniable. The classic hairstyle pompadour has been very popular since the fifties especially among the rock and roll community. Recently this hairstyle has resurfaced with the rise of the high fade haircut. Combining the pompadour with the high fade haircut creates a defining and elegant look. Most people opt for the tapered high fade haircut when combining with the pompadour to create a staggering redefined look. The pompadour is achieved by molding the hair through carefully brushing it upwards away from the forehead, with the help of special hair gels to ensure it remains in place. It requires high maintenance and most times frequent visits to the stylist. For an additional flair, you can add a part to the regular pompadour. There are two unique ways to apply the part either on one side of the pomp or both sides. A daring combination, keeping a long hair with the high fade is a signature look that isn’t for everyone. The fade mostly used with this style is the taper with well defined lines to amplify the look. Being unique, this haircut is for those who want to make a statement and is best suited for non-curly hairs. The faux hawk is a less intense form of the infamous Mohawk. Most suited for those with a professional life but who still desire to relive the punk. Compared to the Mohawk, the faux hawk is achieved by trimming the hair on the sides and back of the head while maintaining a neat taper all the way down to the neck. Though short, the hair on both side and back are not completely removed. This allows attention to be focused on the hair left on top which is styled upwards. This look is youthful and professional without the edginess associated with the usual Mohawk. The quiff hairstyle is a brother to the pompadour with the stint of perfection. Their dissimilarity lies in the way each hairstyle is brushed and sculpted. Like the pompadour, the quiff requires lot of maintenance both while setting and after it is set. The quiff hairstyle goes well with a part and a high taper fade, and it has found increasing popularity especially in the entertainment and fashion industry. A signature haircut of the 80’s hip hop era, the flat high top is coming back into the scene. Combining the flat high top hair style with the High Fade haircut brings back the classic look of the 80’s. So you can still rock the classic without losing touch with the latest trend. The remaining hair can be left flat or styled as desired. Keeping a flat top requires little maintenance compared to the option of styling. 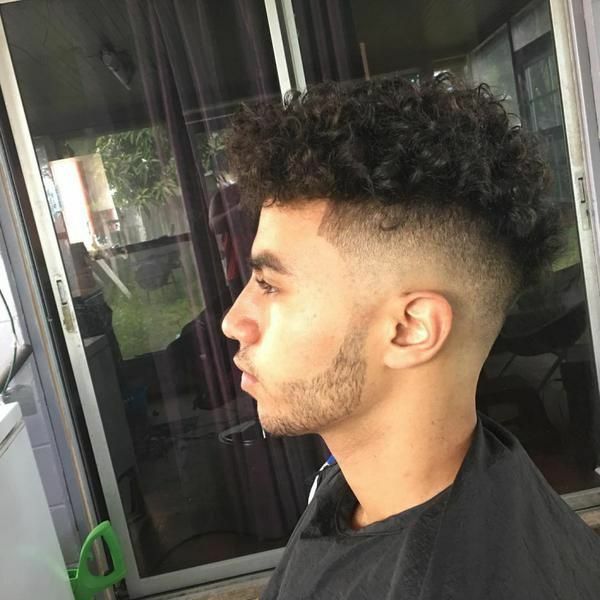 the high fade with curly top features a simple high fade with a skin or taper fade. The major distinctive feature of this style is that the remaining hair on top of the head is often curly. The curls are achieved using products or they could be natural curls. For those with non curly natural hairs, this could prove to be relative challenging to maintain. The curls will have to be achieved using special hair products requiring a visit to the stylist. The haircut goes well with a high taper fade. For prominent curls, the hair at the top of the head should not be very short. The buzz Fade Is mostly cherished for it’s neat appearance. Without the need for constant attention, it’s quite easy to wake up and start your day without bothering about a mssy hair. Combined with the high fade whether it’s high skin fade or a high taper fade, the outcome is a perfect haircut that’s fitting for all occasions. The military variant of the crew curt is quite popular among law enforcement officers. It shares some similarities with the buzz fade but is mostly combined with a high skin or bald fade. This haircut is easy to maintain and doesn’t require additional attention. The edges of the fade can be neatly lined to improve its appearance. This hairstyle is notable for its very neat appearance and low maintenance. Do you love braids? If yes then this is for you. Incorporating the high top with the braid is a sure way to add an extra level of style to your favorite haircut. This is like having the best of both worlds. The high fade is sure to focus the attention of onlookers towards your braids. This haircut also allows for simple styling options such as a sharp hairline and low part for more effect. You can chose between the long or short braids and for more emphasis a skin or bald hair will be appropriate. There is also a possibility of using different colored braids. 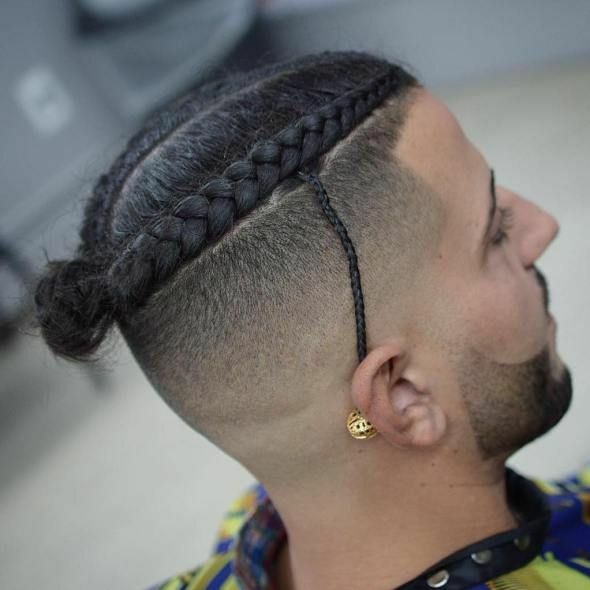 Like the short braids, you can complement your high fade with a long braid and a sharp hairline will emphasize your braids. This haircut is also suitable with a bald or skin fade than a taper fade. It also has the advantage of requiring minimum attention and maintenance. Also, with so many different braids its guaranteed you would not run out of options quickly. 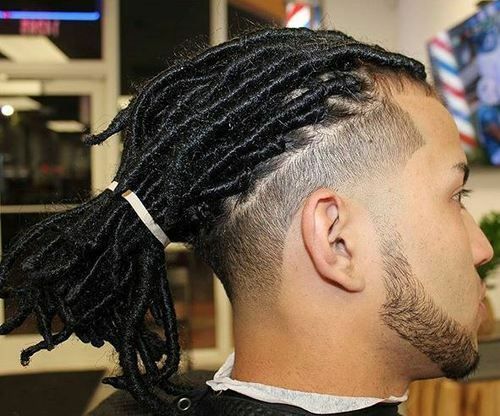 Another way to refresh the look of your dreads is by combining it with a high fade. The dreads have become a very popular hairstyle although not very effective if you are aiming for a professional look. To put more attention on your lovely dreads, simply go for a high fade with a sharp hairline. Most people also dye the braids for additional effect. The high fade with short braids will go with either a skin or taper fade. The skin fade will place more emphasis on the dread. Also if you have intentions of dyeing the braids, then go with the high skin fade. This haircut also has the advantage of being easy to maintain. 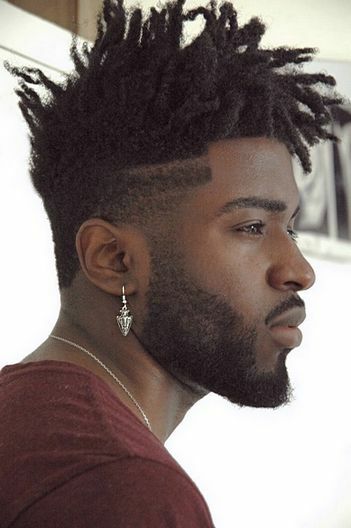 The temp fade or temple fade is a popular haircut for men that’s perfect for several styling options like the faux hawk, Afro, dreads or taper. As the name implies, the hairline begins somewhere around the temples and places emphasis on the remaining hair on top while the side and back are clipped to the scalp. The sharp hairline of the high temp fade will make any chosen styling option to stand out easily. Although initially popular among black men, the high temp fade now has a huge fan base all around the world. This is a simple haircut that can be enhanced with different styling options. The Afro fade simply requires long hair at the top with slightly faded side and back hairs. The high Afro taper fade goes well with a skin or bald fade and a sharp hairline. For a more professional or business look, you can opt for the low Afro taper fade which still offers similar styling options but with a lesser edge. The high drop fade is a perfect haircut for professionals with a sense of style. The drop fade differs from the regular straight hairline that characterizes a typical high fade. This unique style begins with a high arc around the ear which descends gradually until it reaches the nape of the neck. The high drop fade offers a range of different styling options which would not be compatible with a High Skin or Bald fade if you are aiming for a professional look . The most common hairstyles that are being used with the High drop Fades are pompadour, quiff, slick back, high and tight, afro top and the french crop. The cropped top haircut is popular among men who will prefer a low maintenance haircut without loosing their style. Similar to the Caesar haircut, the major difference between the two is that while the Caesar haircut features a short fringe, the french cropped top spots a longer and noticeable fringe. To emphasize the crop, you should opt for a high fade and for older gentlemen, a high taper fade is more appropriate. The Caesar hairstyle shares a close semblance with the french crop. However, this haircut can easily be differentiated from its sister haircut from the relatively shorter fringes. Having stood the test of time mainly because of its low maintenance cost and lesser trips to the barber, this haircut is suitable for all ages. Combining the Caesar haircut with the High Fade either (tapered or skin high fade) is sure to elevate your personal style. This haircut comes with a number of styling options like the curls, bangs, undercut, messy, layered or allowed to grow long. Each of these styling options depends on individual preferences. For a youthful and classy look, the spiky hair stands among the very best haircuts. The emphasis is placed on the hair on top of the fade which is often styled upwards. Incorporating a high fade with the spiky hair, adds an edge to your style. While a high skin fade will do just fine, a drop fade will be most suited for a professional look. The spiky hair is achieved using hair gels and often requires maintenance. This is a regular high fade haircut. However, in addition to the high fade, you keep a long hair which is styled to give a messy appearance. To achieve this look, you require hot rollers and styling gels. Although, most messy hairstyles seems easy to achieve, this is not often the case. This hairstyle is often complemented with designs cut into the fade as shown below. This haircut is similar to the french crop except that the fringe is shaped to form a diagonal. The tip of the fringe is often pointed giving the hairstyle its name. The high fade has earned its place among contemporary haircuts. With the different styles mentioned above, it is quite easy to see why the high fade has become popular among all classes of people. Some of the hairstyles are easy to maintain while some requires regular visit to the stylist and also expensive hair products. No matter your class, age or profession, there is always a haircut that will fit perfectly into your world.